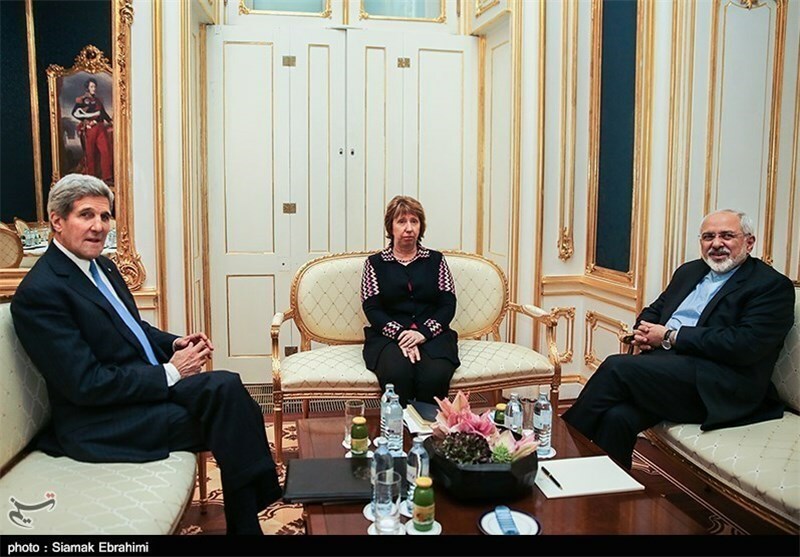 VIENNA (Tasnim) – Iran’s Foreign Minister Mohammad Javad Zarif, US Secretary of State John Kerry and the European Union’s envoy Catherine Ashton assembled in the Austrian capital on Sunday for the fifth time in three days. 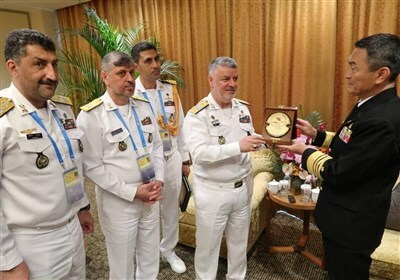 The trilateral meeting was a latest joint effort to narrow differences between Iran and the six world powers (Russia, China, the US, Britain, France and Germany) to clinch a definitive nuclear accord as a November 24 deadline is looming. Such high-profile meetings have become routine in Vienna, which has been playing host to the fresh round of Iran nuclear talks since Tuesday. The negotiations are expected to run until at least Monday, set as a self-imposed deadline for securing the long-awaited deal. With time running short, a source close to the Iranian delegation on Sunday dismissed any talk of a possible extension of the deadline. “Not any discussion of an extension has been mooted so far in the negotiations, and the parties are trying to reach political consensus on the framework and the general principles and the outstanding issues,” the source said.